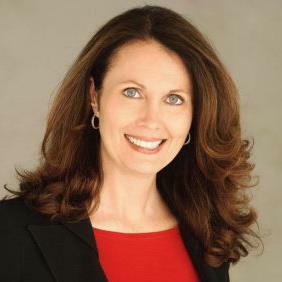 Libby Gill is an executive coach and consultant, and the former head of communications and PR for Sony, Universal, and Turner Broadcasting. She is the author of award-winning You Unstuck: Mastering the New Rules of Risk-taking in Work and Life and Capture the Mindshare and the Market Share Will Follow. LG: Good leadership skills are an excellent start for leading remote teams, but effective virtual leadership calls for deeper and more frequent communication. Not only because of the distance and time zone changes involved, but also because you may be dealing with cultural differences. Even within the same culture and language, words mean different things to different people. Make sure you define terms and measurements precisely and check in often to ensure that expectations are being met. LG: Managers often think that they can manage virtual teams the same way they do on-site teams. But they don't take into account that remote team members may feel disconnected from their colleagues and the mission itself if care is not taken to include them. Create a feedback culture by encouraging managers to share feedback, both positive and negative, on an ongoing basis. No one hear constructive criticism for the first time at their annual performance review. LG: Any form of video interaction wh ere you can clearly see the faces and hear the voices of participants is important. Being able to observe body language and derive context is vital in keeping people accountable and engaged in remote conversations. But I also believe that limiting, or at least controlling, the use of technology is just as important as relying upon it. In large or small meetings, ask participants to put away cell phones, tablets and lap-tops away for the duration of the meeting. Not only is it respectful of others, but it can significantly shorten meetings. Keep the focus on one or two topics and always have an agenda. LG: Of course, it's important to include your remote teams in strategy setting and implementation. But also include them in events and celebrations. If the time zone allows, have them join via video. If not, record events with special messages for different locations or assign a manager in each region to sponsor and lead the event. Consider face-to-face events every year or every other year. Conferences with relevant content and the opportunity for colleagues to make live connections can significantly increase the level of engagement and productivity. LG: Please see my blog on feedback and communication for more tips: 10 tips for creating a collaborative culture and 5 tips for giving fearless feedback.